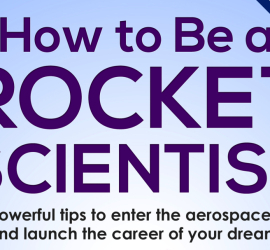 Many people have asked the question and wondered…how to be a rocket scientist? Congratulations on finding the website (and the book) that provides many unexpected answers to the question! If you were hoping for just one answer, get prepared for a new perspective. There is rarely only one way to solve an engineering problem. And each person brings his or her own unique strengths, skills, and creativity to a problem. Those diverse opportunities and perspectives are what make our aerospace world so appealing to people from all across the world, from all generations and cultures. As you will see when you explore here, there are many ways to be a rocket scientist in today’s world–or to be an aerospace professional, as those of us in the field are more likely to call ourselves. And the unexpected secret is — you can start from wherever (and whoever) you are now. Rocket science can actually be traced back thousands of years to the Chinese, who became experts in launching fireworks. In the modern era (and in the United States), one of its first major milestones with the first successful liquid-fueled rocket launch on March 16, 1926, by Robbert Goddard. 3-D printing is now happening on the International Space Station. Did you know that you can use 3-D printing TODAY to launch your aerospace career? You’ll learn how in my book. 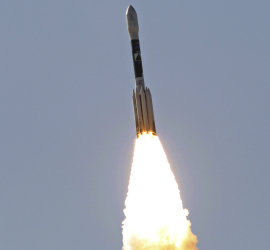 The private commercial space industry is taking off, in more ways than one. This entrepreneurial spirit isn’t only found in these innovative companies. It is desired – and needed! – in every aerospace venture! In the book you will gain PRACTICAL, ACTIONABLE advice and SPECIFIC RESOURCES to help you cultivate an entrepreneurial MINDSET and SKILLSET that will help you accelerate your trajectory into a productive aerospace career. The largest growth area in aviation is Unmanned or autonomous Aircraft Systems (UAS), also called DRONES. How are we going to integrate more of these safely and legally into our national airspace and local communities? Where are the biggest needs and opportunities for someone like you to start getting engaged TODAY for a lifelong career in this exciting technological revolution? Within the TEN TIPS in this book you will gain INNOVATIVE ADVICE which DOESN’T NEED a college degree or a full time job. There are still many interesting and exciting problems we need to solve in the aerospace world. You could be one of those interesting people that make it happen! We haven’t figured everything out yet. We don’t know where the next ideas and accomplishments are going to come from. In other words–WHO they are going to come from! That means, quite simply – we need more rocket scientists! Embrace your passion and curiosity to learn more (and do more) by picking a chapter to sample from the book. Explore the blog for additional topics, commentary, and resources. Or just commit to launching your career successfully and get the book on Amazon. If you would rather engage with me directly first, get in touch with me (Brett Hoffstadt) through a comment on a blog post, the CONTACT page, or on Twitter @BrettRocketSci. Thanks again for your interest in how to be a rocket scientist!